KARACHI: Engro Corporation in collaboration with HBL and The Dawood Foundation in a special event welcomed and hosted pilot & adventurer Tracey Curtis-Taylor. 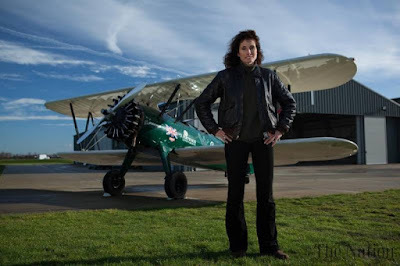 Tracey Curtis-Taylor is a solo pilot recreating Amy Johnson’s – the first female pilot – flight in 1930 from Great Britain to Australia which astounded the world. Tracey will be covering a distance of 13,000 miles and will pass through 23 countries – including Pakistan – in a biplane on her journey. She will cover these countries in her 1942 Boeing Stearman Spirit of Artemis aircraft. During her short visit to Karachi, Tracey Curtis-Taylor will also visit the Dawood Public School where she will be received by more than 2000 enthusiastic female students who regard her as an inspiration. Tracey will get an opportunity to interact with the students and highlight how if they put their minds to it women can continue to make a mark in the contemporary world and showcase great achievements. Tracey’s flight is expected to take 12-14 weeks with her arrival in Sydney planned for early 2016. Her journey will take her across Europe and the Mediterranean to Jordan, over the Arabian Desert, across the Gulf of Oman to Pakistan, through India and on to Myanmar, Thailand, Malaysia, and Indonesia before crossing the Timor Sea to Australia. After her arrival in Sydney the plane will be shipped to America and flown across the United States to complete the world flight in 2016. ISLAMABAD: The Internet Society (ISOC) in collaboration with Asian Development Bank (ADB) and UN ESCAP is conducting a regional study of ten countries from Central Asia, the Caucuses and South Asia (including Pakistan), focusing on Internet infrastructure and related issues. Speaking with the media, the Asia-Pacific head of ISOC, Mr. Rajnesh Singh explained that the study will be released later this year but shared some advance findings with the media regarding Pakistan. This synopsis highlighted some of the opportunities along with some major challenges that are faced by the region, and Pakistan specifically. The report is the third in a series of studies by ISOC that looks at sub-regional Internet ecosystems and their level of progress towards transitioning to a digital economy - where the Internet is the underlying driver of all sectors across an economy. 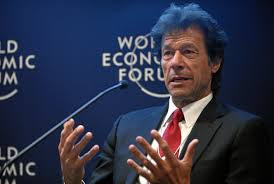 The report highlighted that, although Pakistan has the lowest Internet user density (users per 100 individuals) of 13.8% in the region, due to its geostrategic location and access to coastlines, Pakistan has the potential to become a supply route for the neighboring landlocked countries for Internet and communication services. Through the adoption of effective and favorable policies by the government – and pursuing agreements with neighboring governments – Pakistan in the near future can find itself as an integral part of the supply chain to these countries. This will also allow it to enhance its own internal Internet bandwidth availability, and help pave the way for greater digitization of Pakistan’s own economy with growth, modernization and development in all sectors. However, the report also underscores that the window of opportunity for Pakistan to position itself in this manner is finite. This presents a steep challenge for Pakistan but also allows an opportunity to integrate itself as an important part of the larger regional supply chain in the future. The growth of the mobile network has helped dramatically improve voice-based communications services in the country, and deployment of the much-awaited 3G/4G networks have led to exponential growth in mobile broadband Internet in the past year or so. The challenge for Pakistan is to capitalize on these developments and move to the next stage in its evolution to a digital economy and help deliver its Vision 2025. The Internet Society engages in a wide spectrum of Internet issues, including policy, governance, technology, and development. It aims to establish and promote principles that are intended to encourage governments to make decisions that are right for their citizens and each nation’s future. Organizational goals are based on ensuring that a healthy, sustainable Internet is available to everyone – today and for the next billions of users to come. Is the army general more popular than the prime minister in Pakistan and what does that means for democracy? 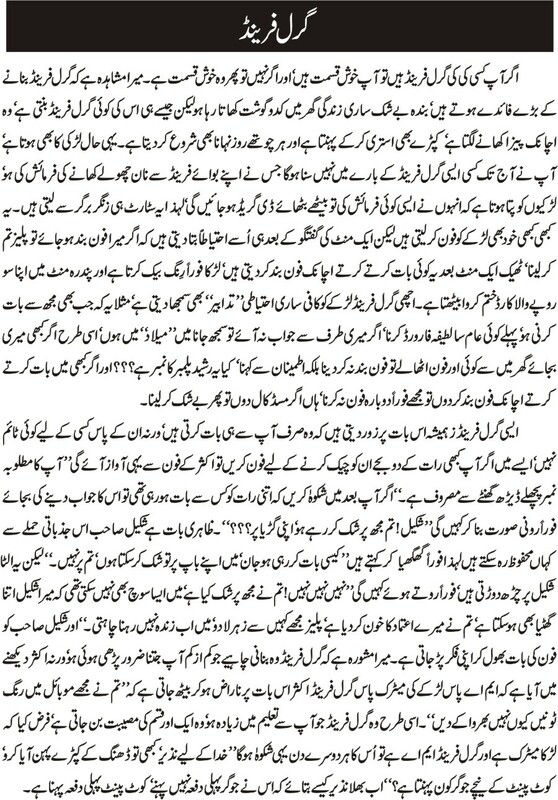 BBC Urdu's Amber Shamsi investigates. Just off the main road between the political capital and army headquarters lies a ramshackle set of houses. They're new builds but shoddily constructed. The mosque is no different. But it has a grand title - it has been named after Pakistan's current army chief General Raheel Sharif. "We want General Raheel Sharif to help us catch the land grabbers and land mafia," says a young bearded man on his way to prayers. Many Pakistanis seem to see General Raheel Sharif as a messiah who is saving the country from terrorism, corruption and all manner of social ills. One of the memes on social media honouring the generalWizened truck-art painter Habibur Rehman is one of them. He has been decorating trucks in the traditional Pakistani way since 1955, where intricate patterns of flowers and birds are combined with political messaging. I ask him who his favourite leaders are. "Benazir Bhutto is my all-time favourite," he says, swiftly mentioning her father Zulfiqar Ali Bhutto as his number two choice. He then lists former presidents and military rulers Generals Ayub Khan, Zia-ul Haq and Yahya Khan. I ask whether General Raheel Sharif makes the cut. He raises his hand as if to the sky. "Given the demand for him now and if he keeps performing well as a leader, he could even surpass the other five." 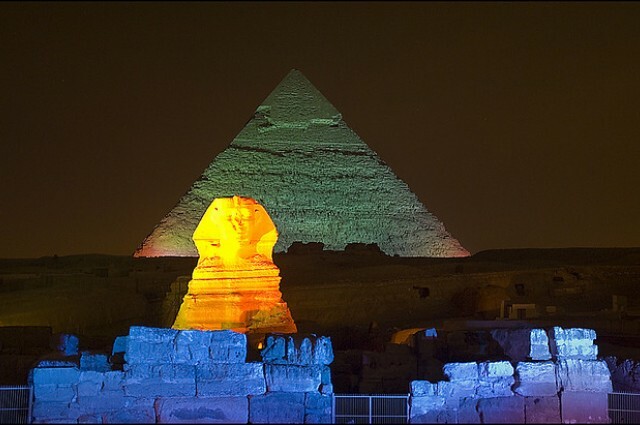 The pyramids of Giza have left us gazing in astonishment and curiosity for four thousand years. Even after hundreds of years of archeological and scientific exploration, they’re continuing to surprise us. A recent project has found striking “thermal anomalies” in the eastern side of the Great Pyramid of Giza. The discovery was part of the Operation Scan Pyramid, a recent project that has alreadyused “cosmic rays” and drones to analyze the pyramids by a group of scientists from Egypt, France, Canada and Japan, under authority from the Egyptian Antiquities Ministry. With the ongoing plan to discover new tombs and hidden burial chambers, the project used thermal imaging technology on the pyramid, which found mysterious heat spots on the monuments. At the lower level of the Cheops, or Great Pyramid, they found an area of neighboring blocks that had a temperature gap far greater than would normally be expected for adjacent stones made with different qualities of limestone. Since air gaps don’t hold heat as well as rock or sand, a difference in temperature could reveal information about the pyramid’s structure hidden beneath the surface. However, the team still aren’t certain what exactly it is. It could be a tomb, a cavity, a passage or even just a crack in the rock. In a statement, the Egyptian antiquities ministry said the scientists had “concluded the existence of several thermal anomalies that were observed on all monuments during the heating-up or the cooling-down phases,” referring to surveys taken during sunrise, when the structures warm up from the Sun, and sunset, when they lose heat. “To explain such anomalies, a lot of hypotheses and possibilities could be drawn up; presence of voids behind the surface, internal air currents,” it added. These three pyramids of Giza were built around 2613 and 2494 B.C.E. Cheops pyramid – where the greatest thermal anomaly was found – is the largest and oldest of the monuments, which was built for Pharaoh Khufu (whose name in Greek translates of Cheops). “Khufu will offer us today one of its secrets,” Mamduh al-Damati, the Egyptian antiquities minister, told reporters at the pyramid. Operation Scan Pyramids began on October 25 and is expected to go on until the end of 2016. The next step is a long-term infrared survey of all the pyramids. Iqbal was born at Sialkot, India (now in Pakistan), on 9th November, 1877 of a pious family of small merchants and was educated at Government College, Lahore. In Europe from 1905 to 1908, he earned his degree in philosophy from the University of Cambridge, qualified as a barrister in London, and received a doctorate from the University of Munich. His thesis, The Development of Metaphysics in Persia, revealed some aspects of Islamic mysticism formerly unknown in Europe. On his return from Europe, he gained his livelihood by the practice of law, but his fame came from his Persian- and Urdu-language poetry, which was written in the classical style for public recitation. Through poetic symposia and in a milieu in which memorizing verse was customary, his poetry became widely known, even among the illiterate. Almost all the cultured Indian and Pakistani Muslims of his and later generations have had the habit of quoting Iqbal. Before he visited Europe, his poetry affirmed Indian nationalism, as in Naya shawala ("The New Altar"), but time away from India caused him to shift his perspective. He came to criticize nationalism for a twofold reason: in Europe it had led to destructive racism and imperialism, and in India it was not founded on an adequate degree of common purpose. In a speech delivered at Aligarh in 1910, under the title "Islam as a Social and Political Ideal," he indicated the new Pan-Islamic direction of his hopes. The recurrent themes of Iqbal's poetry are a memory of the vanished glories of Islam, a complaint about its present decadence, and a call to unity and reform. Reform can be achieved by strengthening the individual through three successive stages: obedience to the law of Islam, self-control, and acceptance of the idea that everyone is potentially a vicegerent of God (na`ib, or mu`min). Furthermore, the life of action is to be preferred to ascetic resignation. Three significant poems from this period, Shikwah ("The Complaint"), Jawab-e shikwah ("The Answer to the Complaint"), and Khizr-e rah ("Khizr, the Guide"), were published later in 1924 in the Urdu collection Bang-e dara ("The Call of the Bell"). In those works Iqbal gave intense expression to the anguish of Muslim powerlessness. Khizr (Arabic: Khidr), the Qur`anic prophet who asks the most difficult questions, is pictured bringing from God the baffling problems of the early 20th century. Notoriety came in 1915 with the publication of his long Persian poem Asrar-e khudi (The Secrets of the Self). He wrote in Persian because he sought to address his appeal to the entire Muslim world. In this work he presents a theory of the self that is a strong condemnation of the self-negating quietism (i.e., the belief that perfection and spiritual peace are attained by passive absorption in contemplation of God and divine things) of classical Islamic mysticism; his criticism shocked many and excited controversy. 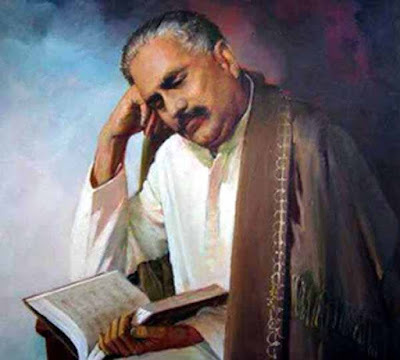 Iqbal and his admirers steadily maintained that creative self-affirmation is a fundamental Muslim virtue; his critics said he imposed themes from the German philosopher Friedrich Nietzsche on Islam. The dialectical quality of his thinking was expressed by the next long Persian poem, Rumuz-e bikhudi (1918; The Mysteries of Selflessness). Written as a counterpoint to the individualism preached in the Asrar-ekhudi, this poem called for self-surrender. ..................... O'er my own self I pour my flooding tears. ...................... More loveliness, more joy for other men. The Muslim community, as Iqbal conceived it, ought effectively to teach and to encourage generous service to the ideals of brotherhood and justice. The mystery of selflessness was the hidden strength of Islam. Ultimately, the only satisfactory mode of active self-realization was the sacrifice of the self in the service of causes greater than the self. The paradigm was the life of the Prophet Muhammad and the devoted service of the first believers. The second poem completes Iqbal's conception of the final destiny of the self. Later, he published three more Persian volumes. Payam-e Mashriq (1923; "Message of the East"), written in response to J.W. von Goethe's West-östlicher Divan (1819; "Divan of West and East"), affirmed the universal validity of Islam. In 1927 Zabur-e 'Ajam ("Persian Psalms") appeared, about which A.J. Arberry, its translator into English, wrote: "Iqbal displayed here an altogether extraordinary talent for the most delicate and delightful of all Persian styles, the ghazal," or love poem. Javid-nameh (1932; "The Song of Eternity") is considered Iqbal's masterpiece. Its theme, reminiscent of Dante's Divine Comedy, is the ascent of the poet, guided by the great 13th-century Persian mystic Jalal ad-Din ar-Rumi, through all the realms of thought and experience to the final encounter. Iqbal's later publications of poetry in Urdu were Bal-e Jibril (1935; "Gabriel's Wing"), Zarb-e kalim (1937; "The Blow of Moses"), and the posthumous Armaghan-e Hijaz (1938; "Gift of the Hejaz"), which contained verses in both Urdu and Persian. He is considered the greatest poet in Urdu of the 20th century. His philosophical position was articulated in The Reconstruction of Religious Thought in Islam (1934), a volume based on six lectures delivered at Madras, Hyderabad, and Aligarh in 1928-29. He argued that a rightly focused man should unceasingly generate vitality through interaction with the purposes of the living God. The Prophet Muhammad had returned from his unitary experience of God to let loose on the earth a new type of manhood and a cultural world characterized by the abolition of priesthood and hereditary kingship and by an emphasis on the study of history and nature. The Muslim community in the present age ought, through the exercise of ijtihad--the principle of legal advancement--to devise new social and political institutions. He also advocated a theory of ijma'--consensus. Iqbal tended to be progressive in adumbrating general principles of change but conservative in initiating actual change. During the time that he was delivering these lectures, Iqbal began working with the Muslim League. At the annual session of the league at Allahabad, in 1930, he gave the presidential address, in which he made a famous statement that the Muslims of northwestern India should demand status as a separate state. After a long period of ill health, Iqbal died in April 1938 and was buried in front of the great Badshahi Mosque in Lahore. 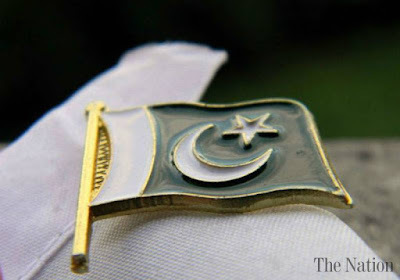 Two years later, the Muslim League voted for the idea of Pakistan. That the poet had influenced the making of that decision, which became a reality in 1947, is undisputed. He has been acclaimed as the father of Pakistan, and every year Iqbal Day is celebrated by Pakistanis. Aspects of his thought are explored in K.G. Saiyidain, Iqbal's Educational Philosophy, 6th ed. rev. (1965), a standard analysis of the relevance of Iqbal's ideas about education written by a distinguished Indian educationist; Annemarie Schimmel, Gabriel's Wing, 2nd ed. (1989), a thorough analysis of Iqbal's religious symbolism, including a comprehensive bibliography in English; Syed Abdul Vahid, Iqbal: His Art and Thought, new ed. (1959), a standard introduction; Hafeez Malik (ed. ), Iqbal, Poet-Philosopher of Pakistan (1971), representative Pakistani views; and S.M.H. Burney (S.M.H. Barni), Iqbal, Poet-Patriot of India (1987), focusing on nationalism and secularism in his poetry. Who would have thought that a Halloween costume as common as Catwoman would get somebody in trouble? 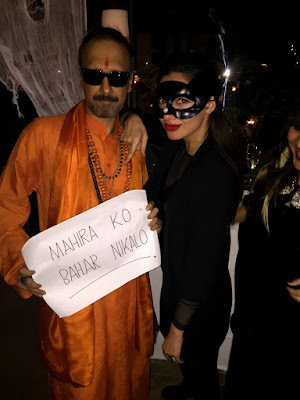 But such is the hard luck that recently befell our beloved actress Mahira Khan. 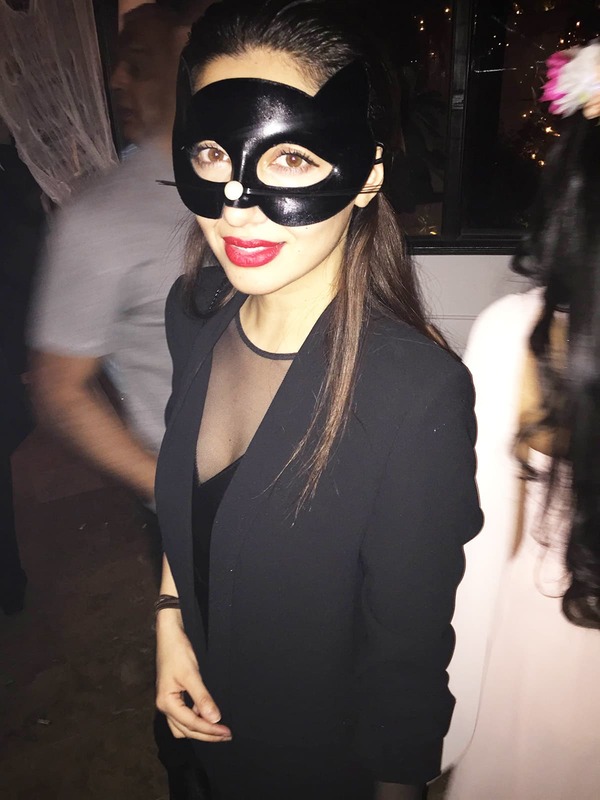 At Nabila's Halloween party, the svelte leading lady went as Catwoman, and posed for a picture with Asim Raza, the director of her upcoming film Ho Mann Jahaan. While Asim's costume was just a timely, tongue-in-cheek jibe at Shiv Sena, whose recent threats against Mahira and Fawad Khan have caused much furore, many people across the border construed Mahira's joint picture with Asim as a political statement. Mahira Khan's debut Bollywood film Raees, in which she stars opposite Shah Rukh Khan, will be out in 2016. Is Stephen Hawking Right About Hostile Aliens? E.T. was the perfect extraterrestrial: Cute, smart and — best of all — a perfect pacifist. Unfortunately, scientists aren't so sure that an actual intelligent alien would be so benign. In a recent interview with El País, famed physicist Stephen Hawkingposited that an alien visitation would put Earthlings in the same position as Native Americans when Columbus landed on their shores. The likelihood that intelligent life is out there is up for debate; less discussed are the conditions necessary to evolve a life-form that's both smart and nice. But the lessons from Earth suggest that intelligence and aggression might evolve hand-in-hand. No one really knows how humans got to be so clever. What's clear is that hominin brains began expanding wildly about 2 million years ago. (Hominins include those species after the human lineage — the genusHomo — split from the chimpanzee lineage.) By around 100,000 years ago, humans made the never-before-seen leap to inventing language. And by at least 40,000 years ago, our ancestors were making art. "We have brains that are three times bigger than those of our closest relatives," said Mark Flinn, an anthropologist at the University of Missouri who has researched the emergence of human intelligence. Humans have unprecedented abilities to think about each other's thoughts and motivations, he said, to play out social scenarios in their brains and to think about the past and future. "The general presumption is that this is just sort of a natural outcome of the evolutionary process, but that's really giving short shrift to the very special circumstances of human evolution," Flinn said. Huge brains are expensive. They take an enormous number of calories to grow and function (up to 50 percent of intake in infancy and childhood, Flinn said) and make humans basically helpless for years after birth. "Our babies are born as larvae, basically," said David Carrier, an evolutionary biologist at the University of Utah. Many anthropologists and evolutionary biologists have tried to pinpoint the special circumstances that make these huge brains worth the expense. Charles Darwin suggested that perhaps males developed cleverness to attract females, much as a male peacock developed showy tail feathers to prove to potential mates that he could strut his stuff. But if brains were just for sexual display, scientists would expect to see big differences between male and female intelligence — females, not having to attract mates, shouldn't waste so much effort on their brains, much as peahens don't waste effort on growing shiny feathers (theirs are dull and brown). And female humans are just as smart as males. Humans have done the same, and researchers can't quite figure out why. The brain could have evolved to allow humans to use tools, but chimpanzees use tools without developing complex languages, art and culture. One provocative theory holds that pathogens play a role: The brain is vulnerable to infection, wrote Hungarian researcher Lajos Rózsa in a 2008 article in the journal Medical Hypotheses. Showing off one's cleverness may be a way of showing off how resistant one is to infection. After all, if you're smart enough to invent language and art, you must be pretty good at battling brain parasites. So perhaps intelligent aliens might be subject to alien parasites. Flinn and his colleagues favor another theory, though. They argue that humanity underwent a runaway cycle of brain evolution because of hominins' social nature. In this heavily social context, it became very important to be smarter than the competition. Each generation got a little smarter and a little better at building complex social relationships, which created a feedback loop in which even smarter brains were beneficial. "The thing about social competition is it's a dynamic challenge and it's also creative," Flinn said. "You need to have the better mousetrap every time. The competition adjusts to the current winning model, so you need to be one better than the current winning strategy." The model seems to work with other clever animals, too, he added. Dolphins, orcas and chimps all form social coalitions with each other and depend on their social groups to survive. It's possible that this social factor would hold for species on other planets, too. A key part of this theory is competition. Chimps form coalitions that battle against other chimps. And humans are far from peaceful. So if an alien species were to evolve intelligence, would aggression be an inevitable part of the package? "If you can walk away from a fight and reproduce another day, you do that," he said. "But if circumstances are such that your ability to reproduce is threatened by a competitor, in that situation it makes sense to fight." Environmental factors may determine whether a mate-or-die system emerges. For example, chimpanzees are a particularly homicidal (chimpacidal?) species, Carrier said. Work by primatologist Richard Wrangham at Harvard University and colleagues finds that chimp "wars" arise from a chimpanzee's territorialism. Small groups of foraging chimps may come into contact with other chimpanzees; killing these competitors (particularly when the foragers have numbers on their side) can be beneficial by opening up access to more resources. Deadly male-male competition is less of a way of life for bonobos, humankind's other closest primate ancestor. Male bonobos stick by their mothers and the species is less territorial than chimpanzees. Bonobo foraging groups are also larger, perhaps because their food sources are more abundant, studies have found. Would aliens act more like bonobos or chimps? Hard to say. Researchers are even split on whether humans are more inherently aggressive or inherently peaceful. A controversial theory holds that aggression was a driving force in human evolution. The "Killer Ape" hypothesis argues that the human ancestors who thrived were those better adapted for fighting. For example, Carrier said, modern humans can form fists, which our closest primate relatives cannot. This particular hand configuration may have evolved primarily for better manual dexterity — but it also could have come in handy as a club. Likewise, when human ancestors started walking on two legs, their face bones also evolved to be stronger and less delicate. This could be due to diet, Carrier said, but male face bones are more robust than female face bones, a sign that male-male competition could be at play. In other words, thick facial bones could be a defense against the fist, a weapon that would have become available once human ancestors became bipedal. If intelligence evolves in the context of social competition, and aggression is the natural outcome of competition, it's hard to imagine that clever aliens could also be kind. Is this the end for hopes of sweet little E.T.? Maybe not. The social competition model doesn't work without cooperation, after all. Humans fight, wage war and sometimes murder each other. But humans also form coalitions, care for each other and even build coalitions of coalitions, such as nation-states. "There are two sides to our nature," Carrier said. "It's not that one is any more real than the other. It's just who we are." Humans are unique among Earth life in forming long-lasting alliances between groups, not just individuals, Flinn said. Chimpanzees can't pull that off, he said, so it's not clear that aliens could, either. "On Planet X, it may not be inevitable that social competition results in a morality and a creativity of the sort that allows these intelligent life-forms to negotiate with us for a mutually beneficial outcome," Flinn said. On the other hand, chimpanzees don't explore space. Perhaps a civilization that can band together to reach for the stars has to be cooperative by definition. If that's the case, humanity might be a greater threat to aliens than aliens are to humanity. Luckily, evolution has given humans the tools for peace. "We can, in effect, rise above the design, potentially," Flinn said. "If we understand what our brains are designed to do, we are going to be way more capable of rising above those tendencies that we have." آپ کبھی کبھار قائداعظم محمد علی جناح کی حیات کا مطالعہ بھی کر لیا کریں‘ قائداعظم نے 19 اپریل 1918ءمیں ایک پارسی خاتون رتن بائی سے شادی کی‘ خاتون نے شادی سے قبل اسلام قبول کیا لیکن اس کے باوجود شادی بہت متنازعہ ہوئی‘ علماءہند نے قائداعظم کو کافراعظم تک کہا‘ قائداعظم جہاں جاتے تھے‘ ہندو‘ انگریز اور کٹڑ مسلمان صحافی ان سے یہ سوال ضرور پوچھتے تھے‘ قائداعظم اور رتن بائی کے درمیان علیحدگی ہو گئی‘ یہ قائداعظم کی زندگی کا پہلا بڑا جذباتی حادثہ تھا‘ دوسرا حادثہ ان کی واحد اولاد دینا کی ان سے علیحدگی تھی‘ لوگوں نے اس علیحدگی پر تبصرہ کیا تھا ”جو اپنا گھر نہیں بنا سکا‘ وہ ملک کیا بنائے گا“ لیکن قائداعظم نے کسی کو بے شرم اور بے اوقات بھی نہیں کہا اور ملک بھی بنایا‘ آپ بھی بے شرم اور بے اوقات کی گالی دیئے بغیر پرانے پاکستان کو نیا پاکستان بنا سکتے ہیں‘ بس آپ کو اپنے اندر قائداعظم جتنا حوصلہ پیدا کرنا ہوگا‘ آپ بڑے ہیں تو بڑے بن کر بھی دکھائیے‘ چھوٹی باتیں انسان کو چھوٹا کر دیتی ہیں خان صاحب! The following map shows the proximity of IGI Airport to the capital city region of Delhi, India. The current rash of aerial objects over IGI Airport remains unresolved. But it's serious enough that India Times reports the Indian Air Force "has been authorized to shoot down any suspicious object, if need be." Earlier last week, on Tuesday, the ATC reportedly saw a flying object -- possibly a drone -- above the runway, but they couldn't come up with any visual evidence to confirm it. If that wasn't enough to cause official concern, the following day, Wednesday, Oct. 28, the pilot of a domestic airline reported being distracted by a laser beam while his aircraft was approaching IGI, according to airport-technology.com. It's against the law in India to use laser beam devices anywhere near the airport. This is one of those cases where enough unidentified aerial things were seen by several witnesses that it created a high alert status around the airport. That, despite the fact nobody was able to get any photos or videos of the source of the disturbances. It's not the first time this year a major Indian airport has gone on alert when unusual things were reported in the sky. Back on May 23, five unexpected, uninvited and unmanned objects put the Mumbai airport on alert. The conversations started about three weeks ago, when a paper written by a small battalion of astronomers pointed out that this star - an imposing 1400 light-years from where you're sitting - occasionally dips its headlights. Every few weeks or months, it will blink, temporarily dimming to as little as 80 percent of its normal brightness. There is no indication (and little likelihood) that this bizarre behavior is caused by planets orbiting the star. Even Jupiter-size worlds would only block about one percent of the star's light. So what is going on? The astronomers who discovered this strange behavior considered several possible explanations for the dimming. Their favorite was the presence of cometary debris in orbit around the star - an idea they liked, but didn't love. However others - and especially the press - were jumping on another, sexier bandwagon. The occasional dimming of KIC 8462852 might be due to "megastructures" - giant astroengineering projects that aliens had undertaken in their solar system. These could be space habitats or phalanxes of orbiting solar energy collectors (so-called Dyson swarms, named after the physicist who popularized the idea). They might even be giant, opaque "cut outs" whose blockage of starlight would be a beacon to other worlds, indicating that KIC 8462852 was an oasis of intelligence in the galactic desert. All nice ideas. Exciting ideas. But how would you prove any of them? One straightforward approach would be to search for radio signals coming from KIC 8462852. Not naturally produced radio signals, but rather the kind that would indicate the presence of broadcast-savvy extraterrestrials. 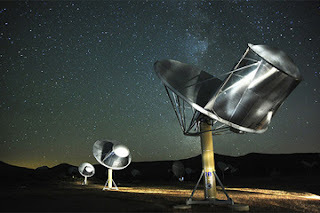 Consequently, the SETI Institute immediately swung the antennas of its Allen Telescope Array in this star's direction, and for two weeks has been searching for transmissions that would tell us someone is home. The Array was tuned to frequencies from 1 to 10 gigaherz, which is way, way higher than those covered by your radio or TV. But this microwave part of the dial makes a lot of sense for interstellar broadcasting for reasons that you can look up, should you be technically obsessed. The Institute team actually looked for two different types of signals: The first would be extremely narrow-band transmissions - which is to say, signals that would be at only one, very constricted spot on the dial. That's the kind of broadcast that would work best as a "hailing channel" because it concentrates all of the transmitter's energy into a tiny slice of the radio spectrum. In that sense, it's akin to a laser pointer, which can be intensely bright despite being low power - all the energy goes into a very specific color. The second type of data analysis looked for much broader transmissions. The idea is that if KIC 8462852 is really home turf to some clever aliens who've moved from infrastructure to megastructure, then there might be fleets of transport rockets servicing this construction. A good way to propel these rockets would be with intense microwave radio beams - and they would produce a broad-band signal that the Allen Telescope Array might pick up. So that's what we've looked for. But we didn't find either type of signal. What does that mean? It might be that we missed out because our measures were not sensitive enough. Even if the putative inhabitants of KIC 8462852 were deliberately sending a narrow-band hailing signal, their transmitter would need to be a 100 thousand-trillion watt beast for us to hear it. This star system is very far away, remember. The required power is obviously high if the signal is broadcast equally in all directions. But on the other hand, if the aliens had some inclination to target their broadcast in our direction, the required transmitter power would be enormously lower. And as a final point, it's worth noting that any society able to build a Dyson swarm has mega-oodles of energy available - more than enough to power the mother of all transmitters. So yes, it's still possible that the odd behavior of this star might indeed be due to large-scale public works projects by aliens. But given the results of this first search, I think the smart money should go elsewhere. Hundreds of years of astronomical study has taught us something important: Every time we've turned our telescopes to the heavens and found mysterious phenomena, there were folks who immediately assumed we had uncovered evidence of cosmic companions. But each time, the truth turned out to be less exotic: we had discovered some previously unknown natural phenomenon (or, in the case of the Martian canals, no phenomenon at all). So while it's nice to hope for megastructures, don't bet the family farm on it. Read the research before you believe the headlines. A lot of headlines out there this week suggest that a recent study found your cat wants to kill you. "My research did not suggest this -- in fact, it's completely unrelated," she told The Huffington Post in an email. "I don't know why people would say that." But that's not all journalists got wrong. Article after article claims that across the board, both domestic cats and lions have prominent personality traits of "neuroticism," "impulsivity" and "dominance." But this is a misunderstanding of the study, Gartner said. The misconception occurred because Gartner referred to those three traits as the “personality factors” present in cats and lions. But what that means is that one way to assess the feline’s personality is to place the cat on a spectrum of not very neurotic to very neurotic, or not very impulsive to very impulsive. "In humans, personality is described by five personality factors: Openness to Experience, Conscientiousness, Extraversion, Agreeableness, and Neuroticism," Gartner wrote. "There is a difference between factors and traits -- so no, the most prominent personality traits [in cats and lions] are not dominance, impulsivity, and neuroticism. These are the three personality factors that describe each species -- but each individual will range along the spectrum of traits that make up each of the personality factors." "They don't have as many facial muscles [as dogs]," she told HuffPost. "Their face is harder to interpret. People do seem to wonder, 'What's my cat thinking?'" Cats just aren't as big or as potentially dangerous as many dogs, so imagining them wanting to off us isn't really threatening. 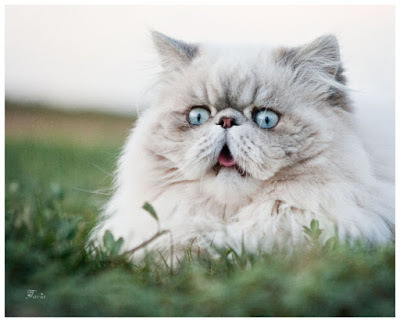 "We almost find it humorous that cats want to kill us, or hate us or we're their slaves," Delgado said. Plus, she noted, people have coexisted with cats for millennia. "If they really wanted to kill us," she asked, "don’t you think it would have happened?"